This is a very long, very scholarly, and very valuable essay on a vitally important subject. It is not easy reading, and it will be especially challenging to the many good American Christians who, unknowingly, have been taught an extremely dangerous, heretical modern perversion of our Faith. We will publish the second part at the same time tomorrow. Long before John Locke set about writing his late 17thcentury works which laid the foundations for political liberalism in the Anglo-Saxon world (and the broader West), there existed the already deeply entrenched religious views of Martin Luther and John Calvin. The works of these two founding fathers of Protestantism greatly influenced the spiritual, cultural, political, social and economic Weltanschauung of Americans far more than anything written by Locke or any of the other social contract philosophers of the Enlightenment (e.g. Hobbes, Rousseau, Kant, et al.). This unique American worldview, or more specifically culture-soul, which arose on the rocky shores of New England during the first half of the 17th century, can indeed be classified as “Calvinist” as it exhibits many distinctly Calvinist traits such as the Protestant Ethic, staunch individualism, an obsession with the concept of God’s Chosen People, the belief in exceptionalism, a universal world mission, etcetera. However, there is a specific ideological catalyst within Calvinism which itself provided the foundation for the tradition of Christian Zionism to take root – a tradition which for the past 400 years has flourished in North America and indeed is flourishing today like never before among evangelical Christians, Neoconservatives and a variety of other groups. The ideological catalyst alluded to is Judeocentric prophecy interpretation. Without this fundamental ideological catalyst firmly in place (implanted as it was in early Protestant theology), it is highly doubtful whether the subsequent doctrine of Christian Zionism would have ever arisen – a doctrine which has had an enormous influence not only on American religion and politics but on American culture and identity as well. Without question, the strongest advocates of Christian Zionism in the United States today are evangelical Christians. Here it is important to understand that the evangelicals are not only a religious group, but they are a highly mobilized political bloc who enjoy an enormous amount of support nationwide (especially in the South and Midwest), and thus they wield a great amount of political power. The defining characteristic or trait of evangelical Christians is not their belief in Jesus (which would make them no different from other nominal Christian groups) but rather their unconditional support for the modern terroristic state of Israel. Indeed, it is their unabashed Zionist fanaticism which has caused many to refer to evangelicals as “Christian Zionists” – and indeed, in the author’s opinion, these two terms (“evangelical” and “Christian Zionist”) are synonymous. The important thing to know about Luther with regard to Judeocentric prophecy interpretation is his absolute emphasis on biblical literalism – i.e. his insistence on the idea that when one reads and interprets the bible, it must be taken literally. Luther inaugurated this patently Protestant view which, it should be said, fundamentally differs from medieval hermeneutics. For example, medieval theologians tried to embrace as many approaches as possible when interpreting biblical texts – they were quite literally Catholic (i.e. universal) in this sense. They would interpret the bible metaphorically, allegorically, anagogically – as many ways as possible in order to extract every last drop of biblical “juice” or meaning from the text. 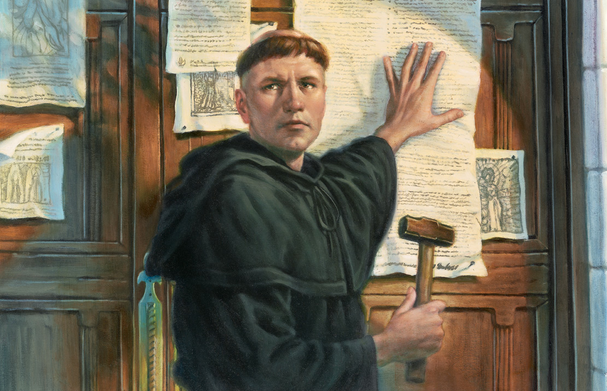 But Luther went in a very different direction. He insisted on literalism. Thus, Luther insisted on interpreting all history through a narrow biblical lens. In other words, he insisted on looking to historical events for confirmations and clues to past and future prophecies. The English Puritans were, needless to say, very elated to see the Jews return. They interpreted this historical event in the same way Luther or Calvin would – as a clear sign from God which would mark the imminent return of Christ. And so they immediately began trying to convert as many Jews to Protestantism as possible, only to find (to their great chagrin) that they were in fact converting no one. Meanwhile, back in England, there was not only a growing sense of anti-literalism taking root, but there was also a growing indifference to the overall destiny (spiritual or otherwise) of the New England colonists themselves. 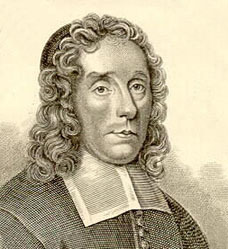 For example, in 1634 the well-read English bible scholar Joseph Mead (1586-1639), when asked for his opinion of the New England colonists, essentially said that he wished the colonists well but he did not think that the colonies – or more specifically, North America – had any importance in an eschatological sense. Mead even went as far as to say that he believed America was the land to which Satan and his armies had fled at some point in the remote past, because Christ’s message (which had been spread throughout the rest of the known world) had not been received by the indigenous peoples prior to the arrival of the Europeans. So according to Mead’s embarrassingly simple logic, Satan had retreated into the vast American wilderness in order to prevent the Indians from coming to Christ – and this would then explain the fact that the Indians had no clue as to who Christ was or what Christianity was all about. Here, one should understand that at this time in history, when Mead made his judgment on North America, there already existed widespread speculation among Christian settlers as to the biblical origins of American Indians – because at this time, it was still believed by most Christians that the origin of every race, tribe and people on earth could be found in the pages of the Book of Genesis. The “discovery” of indigenous non-White peoples in the New World presented the Christian theologians with a great conundrum. It was not enough to simply state that the indigenous peoples had always lived in North America; a formal explanation would be required. So, many began to assume that the Indians might have been the descendants of the Ten Lost Tribes of Israel. However, speculation about this eventually died out after countless attempts to convert the Indians had completely failed. In time, Joseph Mead’s negative view of North America and its indigenous population eventually found a significant base of support in England. Some people began to believe that the New World was in fact Satan’s den and that the Indians were nothing more than reincarnated “Canaanite” heathens, i.e. savage, idol-worshipping pawns of Satan. It was only after Joseph Mead had been dead for more than half a century that a few New England colonists began responding (in the 1690s) to what he had said about America all those decades before. One of the New England respondents was Judge Samuel Sewall (1652-1730). Essentially Sewall stated in his response that he not only disagreed with the late Joseph Mead’s view that America would have no place in the Millennium (i.e. millennial reign of Christ), but Sewall went so far as to say that America would host the actual physical location of the future New Jerusalem. Accompanying this assertion was an unmistakable expression of colonial patriotism, as Sewall was unquestionably offended by Mead’s statements. 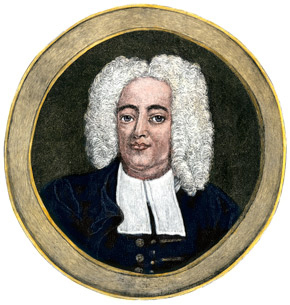 Another New England respondent was the famous colonial preacher and polymath Cotton Mather (1663-1728) – the son of Increase Mather and grandson of John Cotton. In his response to Mead, Cotton Mather did not exhibit as much patriotism as Sewall. For example, he did not dare espouse the unorthodox view that the future seat of Christ’s Kingdom on earth would be located in America. Nevertheless, Mather did state that it was unreasonable to believe that, upon Christ’s return, America would have no role to play in the coming Millennium. As Cotton Mather grew older he became more acquainted with the non-literalist trends and hermeneutics back in England. And he saw that many people had been routinely disappointed with the literalist interpretations of various ministers – which is to say, many had become disappointed with those ministers who, based on their own literal interpretations of biblical text, had predicted that the Millennium would arrive on such and such a date. For example, some pastors predicted the Millennium would come in 1697, others said it would come in 1716, etc. Needless to say they were all proven wrong. At that point, after seeing the late 17th and early 18th century “great disappointments” among the religious masses, Cotton Mather began to question whether a purely literal approach to interpreting biblical prophecy was correct. Thus, Mather tried to establish something of a hybrid approach. Toward the end of his life, however, he became a convinced pre-millennialist like Joseph Mead, which is to say that Mather no longer believed the Jews had to be converted as a precondition prior to Christ’s return, and that the only thing preventing the events of the Apocalypse from being set in motion is the Will of God. In other words, Christ could return at any moment and there are no essential preconditions for the Second Coming. In any event, by the mid-eighteenth century, after more than a century of Judeocentric indoctrination and pulpit-based propaganda, the English colonists of North America (and especially those in New England) began to see themselves as Jews, which is to say they began to strongly identify themselves as a Second Israel. This belief comes out especially strong in the years leading up to the American War of Independence – to form what the historian Nathan Hatch refers to as civil millenarianism. What Hatch means by the term “civil millenarianism” is that the idea of civic or patriotic duty and political involvement eventually coalesced with millenarian prophecy to create a civic belief system in which one’s political and national identity combines with one’s religious beliefs. And indeed, this was a phenomenon which was occurring to an enormous extent throughout New England and, by extension, throughout all of the other colonies as well – because, compared to all of the other colonies, New England dominated in terms of intellectual influence. So it is important for the reader to comprehend that practically all of these early “American” ideas and works have their origins in the long-deceased minds of New England’s foremost religious zealots.